Dan’s Automotive – take care of your Audi or VW! If anyone reading has an Audi or Volkswagen vehicle – please pay attention! Dan’s Automotive in Branchburg, NJ should be on your speed-dial! In a sea of mind-numbing options to care for your vehicle (dealers, franchises, shifty local shops), it’s very important to find a RELIABLE and trustworthy “mechanic,” or “repair shop” as some may say. For VW or Audi owners – Dan’s Automotive is a top choice. Want to hear my sad story? Read on below. 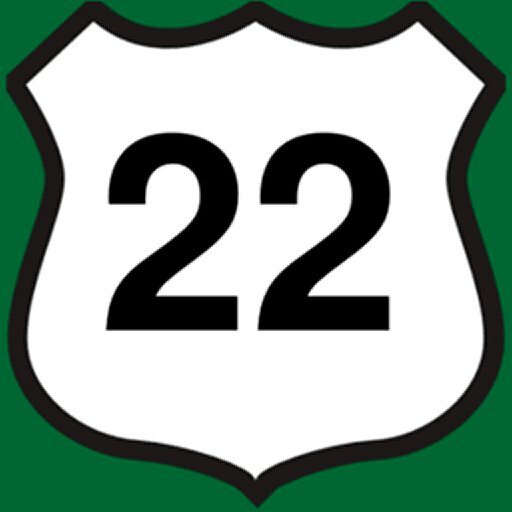 We planted our roots along Route 22 a long while ago. And at the same time, that meant finding a reliable auto repair/maintenance shop for our aging “senior citizen” Audi. Dan’s Automotive is not in the most visible locations. It’s tucked behind a horribly over-priced Exxon station in Branchburg just to the west of the ShopRite shopping center. This is easily overlooked even by the keenest observers like us. I still punch myself in the face for not discovering Dan’s Automotive when I had the chance. It took several years before I realized that there was a competent Audi service station behind that gas station. But as you can say, I was GLAD I finally hooked up with them! What is Dan’s Automotive? Why go to them? Well – let me try and simplify. Dan’s Automotive is an auto repair facility that specializes in both Audi and Volkswagen vehicles. They’re essentially the same. Just like Dodge and Chrysler were the same, or Ford and Lincoln are the same. Dan Perkins (the owner) was a long time tech with VW and Audi (with a superior list of credentials). He decided to leave the structured environment of a corporate world – to be more in control of his skills. So he took a gamble and started his shop “Dan’s Automotive” back in 2008. Dan had book-loads of certifications and skills that he accumulated while working for VW/Audi. That is why he has the props to hone in on those brands in particular. But you can really bring any car there if you want to – but just don’t expect the same perfectness – just good quality workmanship. Goes both ways. But there are many VW / Audi shops across the landscape! Sure, there are. But not any in this area! The nearest “German” shop is over in Sterling (Long Hill) – and they primarily focus on BMW’s. The reason I knew I had a mechanic “for life,” (or as long as he decided to keep the shop open), was when I initially met Dan. Have you ever met an honest, real, true, noble individual? No? Well, you will when you meet Dan. He has a no-nonsense approach to handling your vehicular problems. You won’t get a shifty or ambiguous answer from him for any question you ask. He’ll tell you the truth, and tell you how much it costs. If you’ve ever dealt with a RIP OFF local place (“up the hill somewhere”), or a calculated and terrible car dealer – you’ll be in for a pleasant surprise when you get to know Dan. As you can see – I’ve been touting the greatness of Dan’s Automotive in this article quite a lot. But we’re not doing this because we’re getting paid or anything else. We’re trying to hammer home the point that experience (and specialty) counts a LOT. Anyone can type a few keywords into a car repair computer database and read instructions. But not many can just “know” the best solution. That is what they do at Dan’s Automotive. With so much experience and repeated issues (whatever they may be), it just becomes automatic for places like this. I’d bet that 90% of the problems Audi/VW owners “drive up” to at Dan’s – that they know pretty much exactly what the problems are. Dan doesn’t know I’m posting this – but I’ve spent a considerable amount of time at his shop. My sled is an aging member of the population. But I have had the privilege to watch him do business with dozens, if not hundreds of customers. And for each and every one of them – he’s treated them with respect – and offered clear and concise solutions to their problems. He’s even told them when it did not make sense to pay the money. Honest business people who truly want to help their customers. I just hope his customers realize this as much as I did! Yes, a lot of people have dealer perks – especially for newer cars (like free oil changes). But once your car is out of warranty – WE HIGHLY RECOMMEND Dan’s Automotive for any and all VW/Audi repair issues. I’d probably leave my first-born there as well – if I had to. That is how trustworthy he is! Dan’s Automotive is your go-to place if you own an Audi or VW vehicle. We cannot say anything wrong about them. Good, old-fashioned, honest, and hard-working. This is making America Great Again!